Mercedes star Lewis Hamilton is trying to stay upbeat about his chances of winning the Bahrain Grand Prix despite only qualifying in third. The Silver Arrows made the perfect start to 2019 by claiming a one-two at the Australian Grand Prix earlier in the month. Valtteri Bottas and Hamilton finished first and second respectively at Albert Park with the Finn also picking up an extra point for recording the fastest lap. But they have lacked pace so far this weekend in Bahrain and look likely to struggle against Ferrari on Sunday. 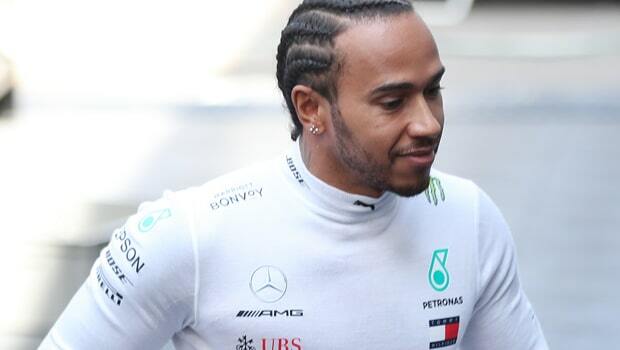 Hamilton, who is priced at 4.50 to win the Bahrain GP, has been impressed by Ferrari’s pace but was pleased to finish just 0.324 seconds behind Charles Leclerc, who will start on pole. The Brit made some minor changes to his car between practice and qualifying and insists they are ready to put up another fight on Sunday. Hamilton said: “All weekend, we’ve seen incredible pace form Ferrari, and I didn’t know we would be as close as we were. “I made changes to the car overnight, so I’m hopeful the car is in a better position. It’s why I’m a bit more upbeat. “Now we are in a better position… Tomorrow’s the more important day and it will be interesting to see how we do.